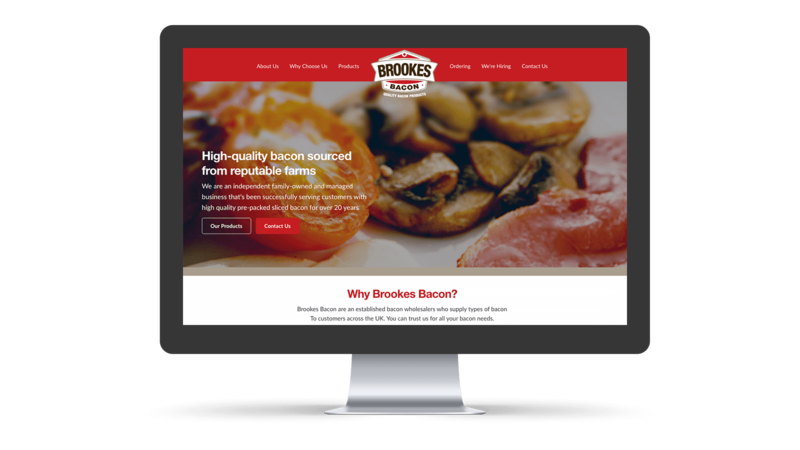 Brookes Bacon are a large bacon wholesaler in Dorset who provide a variety of bacon products to all over the UK. 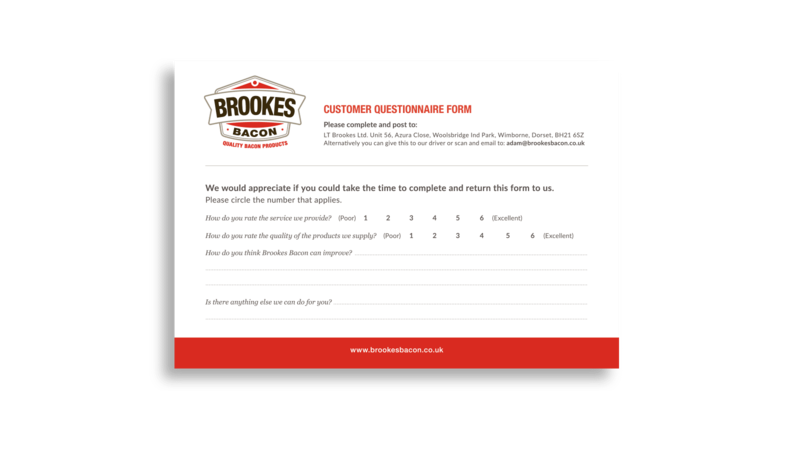 Brookes Bacon are a large bacon wholesaler in Dorset who provide a variety of bacon products to all over the UK. They produce around 50 tonnes of bacon every week! 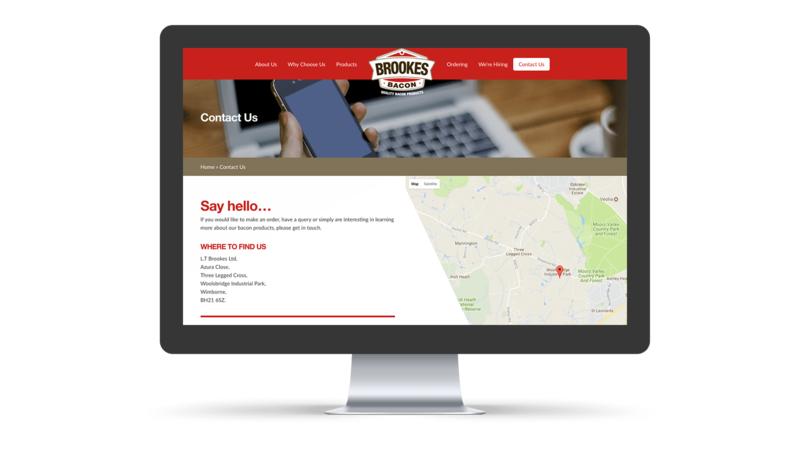 Brookes Bacon wanted to update their branding and website to suit their growing and more modern market. CW Marketing worked with Brookes Bacon to provide a suite of marketing tools to help boost their online presence and performance, and offline materials when attending trade shows and on the road meeting clients. Brookes Bacon wanted a more professional look which would present them as the large wholesaler they are. CW Marketing designed Brookes Bacon a new logo and full brand guidelines for their new branding. 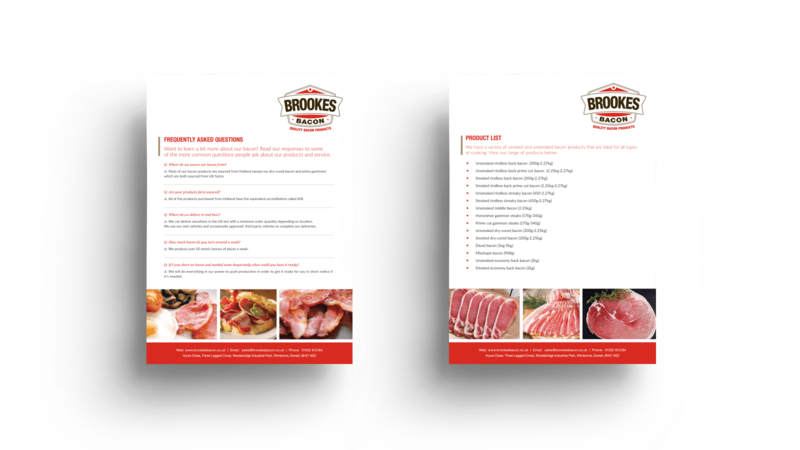 We designed business cards and various brochure designs for Brookes Bacon to use at trade shows and to pass onto clients. We are now working to redesign their own label and van signage which will incorporate the fresh new brand! 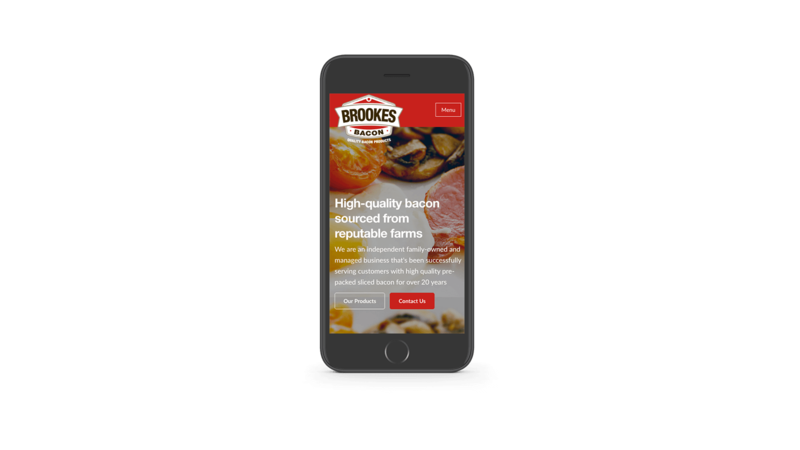 Their new look needed to follow onto their website, so CW Marketing developed a new, portfolio-style website for Brookes Bacon which followed the new brand guidelines and ensured full mobile responsiveness. The website focused on information about their history, displaying their bacon ranges and informing customer how to order from them.